To be fair my mum is easy to buy for. If I get her a bunch of flowers she is very happy. My Mother in Law however often proves a bit tricky. She's not a drinker, she's not a huge chocolate fan and she reacts to flowers much like Phoebe in Friends where she just gets upset when they've died. She's quite glam but also no fuss and her taste in trinkets for the home or accessories is wildly unpredictable. As a result it's always a challenge each year to think of something for her but this year I think I've cracked it. Luckily a couple of days ago I was sent by Octopus Publishing their Mother's gift featuring a huge range of beautiful non fiction books. I love a non fiction book (and don't spend enough time talking about them on here really) and always think they are lovely gifts and as I was flicking through no end of titles popped up which I knew my Mother in Law would love. So here are the three books I think would make perfect gifts for your mum. 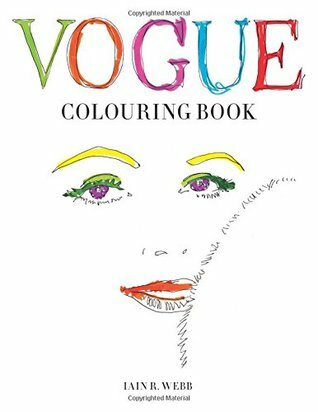 This, the first colouring book from British VOGUE, has been created by award-winning writer, fashion editor, curator and Royal College of Art Professor, Iain R Webb. Celebrating the centenary of British VOGUE, these hand-drawn artworks are inspired by iconic images from the magazine in the 1950s - an era of hats and matching gloves, haughty elegance and hourglass silhouettes. The book features a glamorous dream wardrobe of luxurious ballgowns and soigne cocktail dresses, smart suits and dramatic accessories by key designers including Christian Dior, Balenciaga, Givenchy and Chanel. The accompanying captions offer fashion and style tips (often highly amusing in hindsight) and are taken from the original pages of British VOGUE. The c90 artworks can be coloured in in the spirit of the original images that inspired them or embellished with whatever colours and patterns take the reader's fancy. The colouring book is the perfect present for all those who love vintage fashion. As discussed my Mother in Law is quite glam. She loves her fashion magazines and has hundreds of back issues of Vogue dating back from when she was young. I'd never know where to start when it comes to getting her an issue that she didn't already have but as colouring books are now "in vogue" this seems like a perfect gift idea along with some nice colouring pencils. 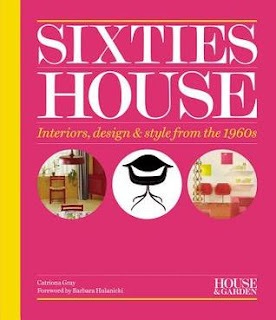 From Pop art to Op art, plastic furniture to bubble-gum paint colours, the Sixties saw a new wave of interior design that was closely linked to popular culture and fashion, becoming increasingly youth-oriented and playful to appeal to the new generation of baby-boomers. In Sixties House, mid-century modern enthusiast Catriona Gray has drawn on the magazine's peerless archive, curating the best illustrations and photographs to show how the use of color, pattern, homewares and furniture evolved through the decade. The homes of key tastemakers are featured including Bridget Riley, Mary Quant, David Mlinaric, Barbara Hulanicki of Biba and David Bailey. My Mother in Law loves anything to do with the Sixties having been a teenager for most of them. She also loves house design as her house is always beautifully presented with a real vintage twist to much of her furnishing. I think she'll love flicking through this book. Whether you are new to knitting and want to learn the basics or an experienced knitter who wants to try complex patterns, The Knitter's Handbook will guide you through more than 90 stitches and techniques. 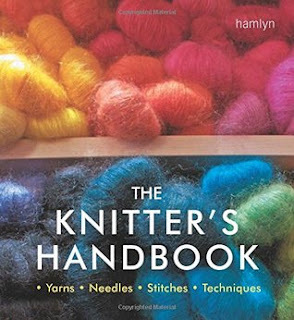 Featuring a comprehensive guide to yarns and patterns, clear and easy-to-follow instructions and 250 step-by-step illustrations, this practical book will help you master the techniques in no time. My Mother in Law is not a little old Nanny that knits. She's only just discovered it and want to knit really cool designs and styles but she's at the stage of needing to learn the basics. I've knit for the best part of a decade and have been looking out for a book for her which will teach her the basics without being dull or over complicated because she doesn't have access to the internet to learn via youtube. I think this book does it whilst still having things that I could learn from. It's also a really handy size which means it'll fit into a knitting bad really easily.